Seen on the wall under the rear carport area at Oasis State Park visitor's center. First sighted at 7:30 AM and when I left work at 4:30 PM it was still present. Very large moth. The beam directly above the moth measures 3" and part of the right wing is inside a square hole of the I-beam. Knowing the measurement of the beam above I estimate the overall wingspan at 5 1/2 to 6". 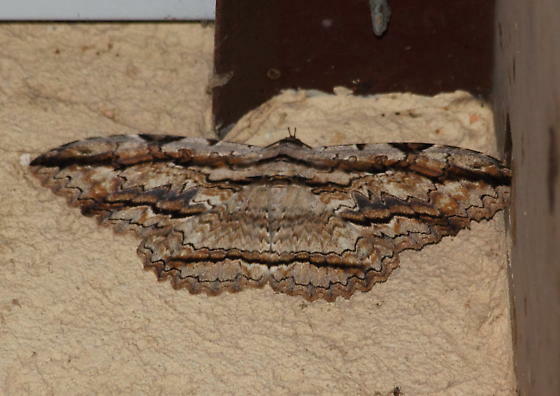 Impressive moth with only 2 other NM records that I know of.